If you want the boiler in your property to perform to its reliable best, generating heat and hot water as a matter of course, then annual servicing definitely pays. Regular maintenance doesn’t only help to prevent inconvenient and costly breakdowns, it is also essential to ensure dangerous carbon monoxide isn’t leaking into your home. As a highly experienced central heating and boiler engineer, I can provide regular servicing for domestic customers around the Chichester and wider West Sussex area up to the Hampshire border, to include Petersfield, Midhurst, Petworth, Arundel, Bognor Regis, Selsey and all the outlying villages in between. I'm never far away. I also provide a professional support service for residential letting agents on behalf of property landlords, ensuring gas appliances throughout their client properties are properly maintained. To prolong the life of your boiler. To help maintain your boiler's efficiency by making sure it’s running within correct parameters. 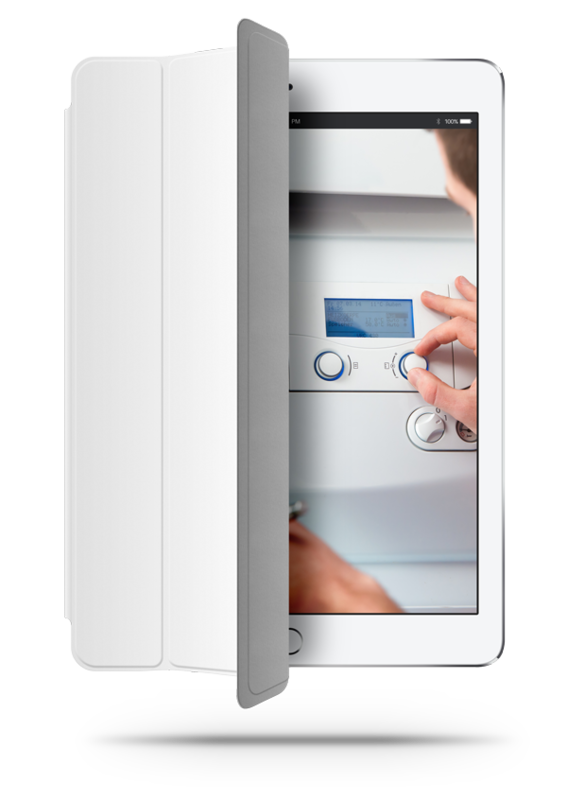 An efficient boiler will waste less energy, saving you money on your energy bills. And a boiler that uses less energy is a boiler that is more eco friendly. Qualified to work on and install Natural Gas and LPG domestic boilers, I carry out servicing on all makes and models of boilers including; Worcester, Glow-Worm, Ideal, Vaillant,Viessman, Potterton, Baxi, Remeha, Alpha, Ferroli and Morco. Being Gas Safe Registered (the official industry body that replaced CORGI in 2009) I am fully qualified and accredited to work safely and legally on boilers, cookers and all other gas appliances in the home. A visual inspection of the boiler, flue and its controls condition. Checking the boiler is operating correctly. Assessing the boiler inside and out for leaks or corrosion. Monitoring the boiler’s electrical component for signs of wear. Using a flue analyser to make sure the boiler has safe emissions. Ensuring the boiler has an adequate gas supply pressure. Carrying out a tightness test on the entire gas installation. Providing a Service Report sheet. If you are concerned your boiler hasn’t been serviced in years, or you’ve moved into a new property and are unsure when a service was last carried out, then call me on 07843 570302. I will always provide you with a friendly, considerate and courteous service – ensuring you are safe in the knowledge your gas appliance is in sound working order. Copyright 2018 Backham Boiler Repairs. All Rights Reserved.